One of the most difficult requirements I place on my students as a university professor is to practice figure drawing in a sketchbook. 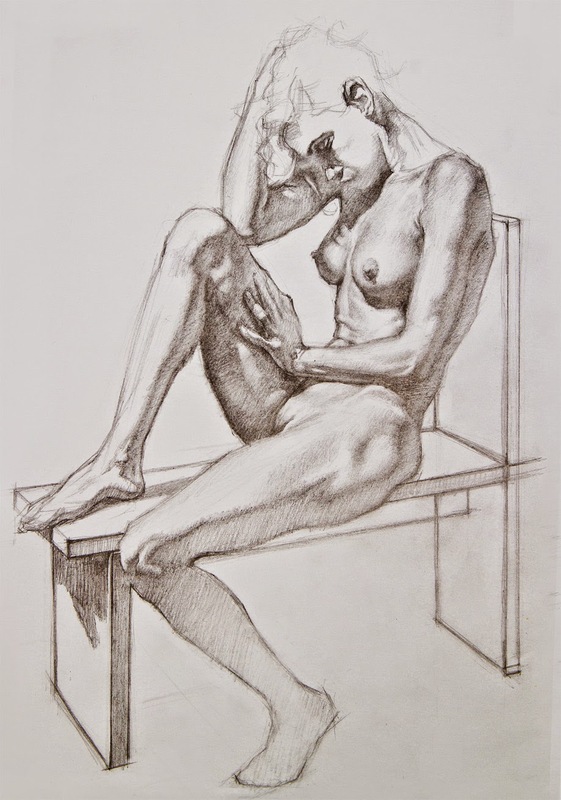 Of course I prefer they draw from life but I know that sometimes it is difficult to make time to attend life drawing sessions and it can be cost prohibitive for many students. I have allowed them to practice from photo reference and it is difficult if not impossible to find images online that are appropriate for a life drawing sketchbook. I have found a great source for figure model photo references. They are well lit, posed as if you were drawing from life, fabulous quality and tasteful. Here is a drawing I did from a reference sample. You can find information on their website: www.artmodelstudio.com or click on the link above and to the right.